Bok No 12: Is Esterhuizen nosing in front? Cape Town - Andre Esterhuizen deserved better than to see the Sharks slip to that agonising, late 19-16 Super Rugby derby defeat to the Bulls at the weekend. The brawny midfielder was one of the most noticeable home players to lift his game significantly in the second half, providing some much-needed thrust and urgency after a lamentably tedious first 40 minutes from both outfits. But it ended up being one that got away: the Sharks really should have done enough to eke out a narrow victory, and instead now find themselves nursing only a 50 percent record from six games and another demanding all-South African clash with the conference-topping Lions to follow in Johannesburg on Friday night (19:10). Apart from his front-foot efforts at Kings Park, the man who currently lies second in the Springbok pecking order at No 12 - at least based on observations from the mixed-success European tour at the end of last year - put in some trademark thumping tackles against the Bulls and grafted willingly for either turnovers or at very least slow-downs on the deck. There were moments, too, where his under-rated, booming left boot provided aid in territorial relief efforts when the Sharks were pinned in their own terrain. Esterhuizen is hardly the most twinkle-toed or unpredictable of inside centres the world has ever seen, and is occasionally prone to taking maddeningly poor options, but he also ticks plenty of the modern, required boxes in the often heavy-traffic berth. On present form, too, he is probably outshining 37-Test Bok incumbent Damian de Allende, whose own role in the Stormers' trend of firing blanks in try-scoring terms (present average 1.5 a match, lowest of the entire competition) is inevitably under scrutiny as he is one of the major intended playmakers. 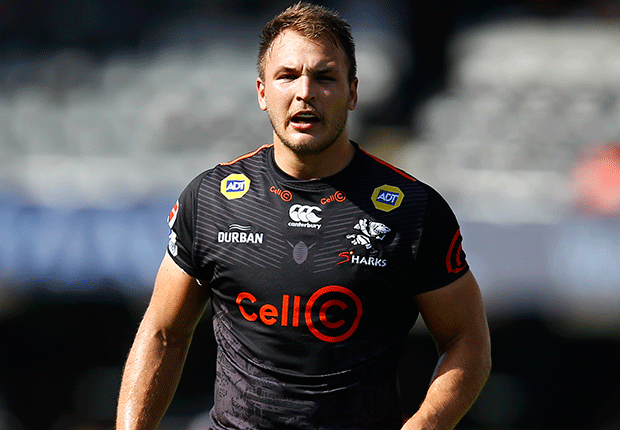 Despite a prior reputation for being dangerously nimble and deceptive off his feet for a big physical specimen himself, the 27-year-old appears to have fallen prey to the general tendency of the Stormers backline to shift too laterally and ponderously, seldom breaching the advantage line or creating tantalising opportunities for proven, potent wings. Two or three seasons ago, De Allende was also pretty close to South Africa’s answer to Sonny Bill Williams - mind you, the All Blacks veteran has also slipped some way down from a peak - for deft, creative offloads out of contact, and even that hallmark has been absent for the most part thus far in 2019. Just as inexplicably, he has been part of the unacceptably high error rate that must be giving head coach Robbie Fleck additional silver hairs, sometimes spilling the ball in the tackle more often than is customary from him when forced into making more “industrial” yardage in tight space. Admittedly six-cap Esterhuizen, who was the main understudy to De Allende on the national team’s 2018 end-of-year tour (the Newlands-based player started all four Tests, blowing hot and cold) has benefited from the current stability of his midfield alliance with a similarly sharp-looking Lukhanyo Am, a good foil at thirteen. Big things were expected further down the coast of SA Sevens convert Ruhan Nel when he was paired with De Allende for the Stormers in early campaign, but he has failed even more conspicuously to set the backline alight - though an atonement opportunity may be presented against the Reds in Brisbane on Friday as Dan du Plessis is now injured and out of the remaining overseas tour picture. Whoever he finds as his partner in the first of two Australian-staged fixtures after their two-game New Zealand duck, De Allende urgently needs to recapture his most assertive form, both as a senior Stormers figure but also to keep suitably at bay rising pretenders to his first-choice Bok status later in the red-letter year. Apart from Esterhuizen's beefed-up quest to persuade national coach Rassie Erasmus that he warrants the No 12 shirt, the reasonably "forgotten" - but undoubtedly high-class when on song and at optimum fitness - Jan Serfontein of Montpellier springs to mind as an attractive overseas-based option for the important position. Serfontein has been particularly hard hit by injury setbacks over the last couple of years, but at not quite 26 yet (his birthday is later this month) and with 35 Test outings to his credit, the former Bulls favourite may well bubble up toward the surface in Erasmus’s thinking from his faraway station in good time for the curtailed Rugby Championship and the even bigger business beyond it. He is also, of course, hardly a stranger to being at the shoulder of runaway top choice as Springbok flyhalf Handre Pollard, from his days at Loftus and in a particularly luminary period with the Junior Boks.